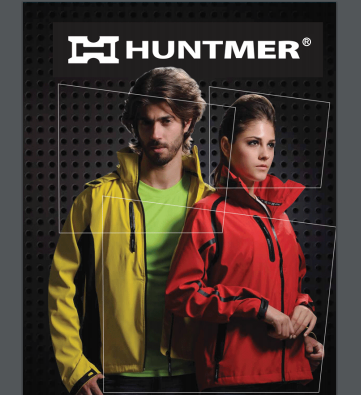 Huntmer™ is fast becoming the preferred choice in fashionable corporate wear and sport apparel because we help your business look great by adding innovative designing, intricate construction and fabrication, mix-matched colours, superb styling and exclusivity into each and every apparel we product for you. Sportswear is typically designed to be lightweight so as not to encumber the wearer. On the other hand, sportswear should be loose enough so as not to restrict movement. As one of the supplier of sport apparel in Malaysia, Huntmer give the best quality and meet up the casual fashion nowadays. Huntmer incorporate advanced technology by blending the latest advancements in new age multi-functional fabric technology, to give that look and feel of exclusivity with a level of softness and comfort that’s unmatched. Huntmer leading as a T-Shirt Supplier Malaysia as they give the highest quality of the shirts. Huntmer have a wide range of ready-made designs that can be immediately modified to incorporate your business logo or identity to make it exclusive to your business and usable in record time. As custom T-Shirt Malaysia, Huntmer also provide customization in which give a service in customized for your corporate uniform, T-Shirt school or customer personal need. If you’re planning to add a corporate look to your personnel, be it for office use, or for a tradeshow, or to promote a particular product or service, in your office or on the field then come to us for classic in corporate apparels. Huntmer’s brand which is New Age Multi-functional CoolHunt Fabric absorbs moisture faster and better than cotton fabrics. It also equally fast in the outer surface of Huntmer’s advance CoolHunt Fabric that release moisture faster than cotton fabrics. Huntmer’s brand also comes in free air flow, always cool and comfortable and also lifetime UV protection.